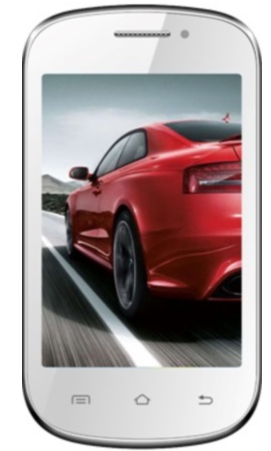 Josh Mobile has launched a budget android phone, Josh Fortune Square, priced at a Rs. 2,999. This phone bears humble specifications in line with its price and is meant for first time android users with basic requirements. The display is 3.5 Inches in size and has a resolution of 480 X 320 Pixels similar to phones like Intex Cloud X3 and Celkon Campus A15. The display is not meant for HD gaming and is in line with what can be expected at this price range. The processor is a 1 GHz single core processor which is backed by 256 MB RAM and an in built storage of only 90 MB. This storage can be further extended to 32 GB using MicroSD card. Since all apps can’t be moved to the external SD card, the App downloads will be restricted which also restricts the Android experience. This phone will feature a 2 MP camera at the back and no secondary camera is available in this phone. The android version is Android 2.3.5 Gingerbread, which in spite of being old and feature deficient compared to new versions, has a major share in Android eco system. The phone sports Dual SIM functionality. The battery capacity is 1450 mAh which is above average. Connectivity options include Wi-Fi and Bluetooth. The price is quite low and this phone will compete with phones like Intex Cloud X3, Celkon Campus A15 and Lava 3G 356.